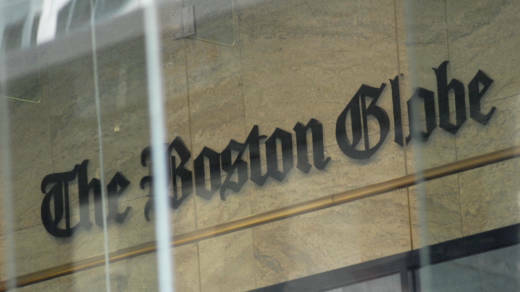 Marjorie Pritchard, the Globe's deputy managing editor of the editorial page who led the effort, told NPR's Morning Edition, "This editorial project is not against the Trump administration's agenda. It's a response to put us into the public discourse and defend the First Amendment." Editorials are typically written by opinion writers and are considered separate from organizations' news coverage. NPR, for example, has a separate "opinion" category. But unlike many media outlets, NPR does not have an editorial board, and did not take part in Thursday's coordinated effort. In a column called "A Free Press Needs You," The New York Times' editorial board writes that "Criticizing the news media — for underplaying or overplaying stories, for getting something wrong — is entirely right. News reporters and editors are human, and make mistakes. Correcting them is core to our job. But insisting that truths you don't like are 'fake news' is dangerous to the lifeblood of democracy. And calling journalists the 'enemy of the people' is dangerous, period." Small publications across the country participated as well. Charlie Smith of The Columbian-Progress of Columbia, Miss., wrote that newspapers "are the ultimate friend of the people. To attack them is to attack our own selves." "Americans may not like the news they see or hear but they should not hold that against those who report it," TriCorner News from The Lakeville Journal Co. in Lakeville, Conn., writes. "In short, don't shoot the messenger." Other newspapers supported the mission but declined to take part. The San Francisco Chronicle's editorial page editor, John Diaz, pointed to previous editorials in the paper denouncing attacks on the press, but said "answering a call to join the crowd, no matter how worthy the cause, is not the same as an institution deciding on its own to raise a matter." The Slidell Independent in Slidell, La., participated in the coordinated editorial — to criticize the endeavor and defend the president. "The national media still doesn't know what to do with President Trump, so now they are crying to the American people about the names they have been called," the paper wrote. "Maybe if they focused on doing their jobs instead of worrying about their precious reputation the American people might start getting real, honest journalism again." Jack Shafer argues in Politico that the current effort "is sure to backfire." "It will provide Trump with circumstantial evidence of the existence of a national press cabal that has been convened solely to oppose him. When the editorials roll off the press on Thursday, all singing from the same script, Trump will reap enough fresh material to whale on the media for at least a month." Trump has made bashing the news media — "horrible, horrendous people" — a staple of his candidacy and a constant throughout his presidency. He has tweeted at least seven times since June referring to the news media in some way as the "enemy of the people." On Thursday morning, the president returned to the topic. "THE FAKE NEWS MEDIA IS THE OPPOSITION PARTY," Trump wrote on Twitter, adding that it is "pushing a political agenda or just plain trying to hurt people." The poll asked respondents if they were concerned that the president's attacks would lead to violence against people who work in media. Fifty-two percent of respondents said they were not concerned, while 44 percent said they were. Some reporters themselves have said they increasingly feel at risk of violence.
" 'I hope you get raped and killed,' one person wrote to me just this week," MSNBC's Katy Tur said on air recently. " 'Raped and killed.' Not just me, but a couple of my female colleagues as well." She added that the letter ended with "MAGA," short for Trump's slogan, "Make America Great Again." Some reporters say they're receiving heightened security measures when covering Trump rallies, according to Politico, though many news outlets don't comment publicly about such matters. Thirty-one journalists in the U.S. have been attacked so far in 2018, according to the U.S. Press Freedom Tracker. In June, five employees were killed in the Capital Gazette newsroom in Annapolis, Md. A man who had a longstanding grudge with the publication has been charged with multiple counts of murder.